"If i had known that this man is like this, I would have voted for him. His major setback is that he is good but the will to drive his goodness and leave behind the vultures around him, who deceived him, caused many of us to abandon him and opt for any choice, no matter the choice"
I concurred with him to some extent but disagree about the will part, I told him that it takes a man of guts and will not to circumvent normal process and business as usual. Let me explain further, GEJ knew that his coffin is being nailed when the big fishes left PDP, the same people that created PDP. He knew that these guys will make life hell for him. He stuck to his will that bad eggs should leave and what the heck!!!. He knew that the usual control of the any elected person should stop, Godfatherism should stop. Against the fear and dangers of loosing, he still maintained his decorum and will. Thats one hell of will. I do not think anyone will take such risk. The risk of knowing that these guys will scuttle your personal ambition. Also, it takes a hell of will for him not to scuttle the formation of a strong opposition filled with unlike minds and bed fellows. At as the time APC was being formed, prior to the defection of the G5 and bigwigs, he could have done it, and he will be regarded as a tyrant. Just imagine this, he could call SSS, DSS and EFCC, arm them with direct order to exhume every dirty details of all the leaders of APC, this can be used to blackmail a lot of them and the formation of the party would have died instantly. He could have started the harassment strategy. He could have taken the route of assassination as some past Presidents did etc. But he allowed democracy to thrive, he allowed everything to happen believing that his character, personality and works will help him. He made many mistakes, which gave opposition room to nail him, but guess what, his recent action threw everybody off balance. I remember the propaganda, the threats, the tension, the lies, including stories about Militants having meetings, Asari Dokubo threatening brimstone and fire, in all these, Jonathan remained calm and ,maintained one statement, that NOBODY'S PERSONAL AMBITION IS WORTH THE BLOOD OF NIGERIANS. HE PROVED IT LAST NIGHT. WHAT A SPEECH HE DELIVERED. Today, he is the President of Nigeria and will leave this seat on the 29th of May. He leaves it to become a huge global brand. Nigerians are celebrating him, Africa is celebrating him, The world who predicted and thought that Nigeria will break is celebrating him. No one envisaged this considering the tension that mounted during the campaign and the fear of rigging. He has written his name in Gold. He has set a standard. Instead of celebrating the success of APC by their supporters, the attention has shifted, everyone is congratulating GEJ even though he lost. what a turn of event. He proved that its all about Nigeria and not self interest. This was what our National fathers and heroes had in mind when they fought for independence, before the wolves and looters took over. The pride is back. Long Live Nigeria, Nigerians and the gladiators. 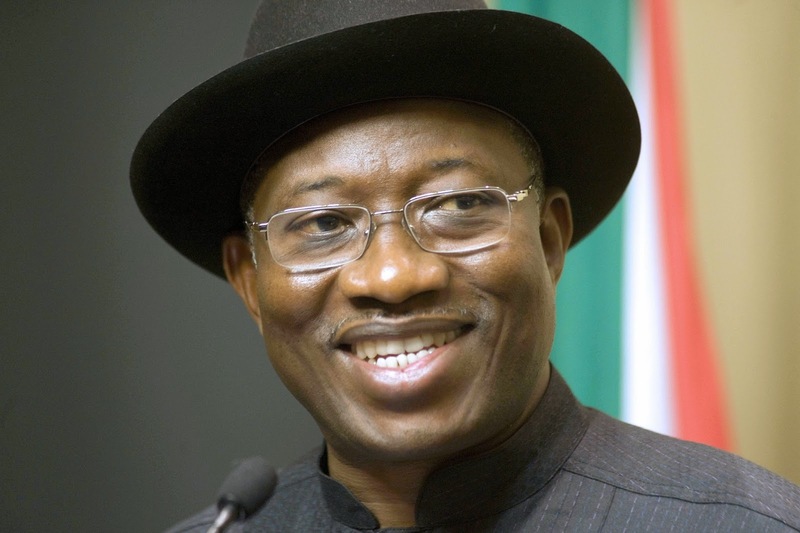 GEJ, u have raised the brand of Nigeria so high, set the standard so high, you are \ hero and we will NEVER a forget that. I pray that PDP shouldn't go to court to challenge anything. Lets move on. For those that lost at senate and House of rep, well, depending on your feeling, u can do whatever to reclaim mandate oif you have facts which i doubt. Next is Governorship. Now that the tension has reduced, i do NOT think it will create much except in places like Lagos, Imo, Rivers and Kaduna. These are the volatile areas which may witness serious wahala in this Governorship election. I pray that these gladiators will learn from GEJ and be counted as heroes also. Realize that this whole race is call to service and NOT do or die.